Google has released a new Google Chrome extension to give users protection against data breaches. The new free Chrome extension ‘Password Checkup’ keeps an eye on data breaches. When you try to login on a website and the login details match the leaked logins, an automatic warning will be triggered. If you get the warning, you know what to do. Change the password to be on a safer side. You can even use Chrome’s built-in password generator to create a secure password. While it looks a good initiative, many people have suspected Google of reading the login details. Google has made it clear that the information is encrypted and its employees cannot see the actual password. 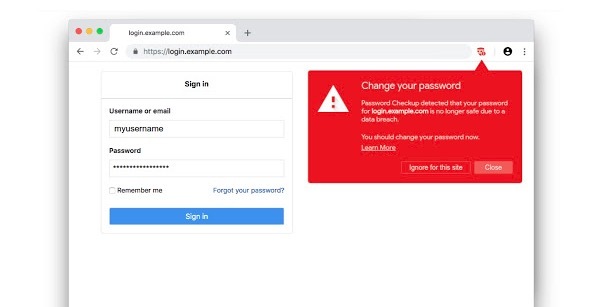 In past, Google also launched a Chrome extension to warn Google users from fake login pages. But this new extension is to warn for you any of your login details leaked in any data breach.